I pulled together these super easy appetizer to snack on before we sat down for our big meal. The dried cranberries and pistachios bring festive colors to the dish and taste great together too! 3. Place a thin slice of brie on each the buttered side of each baguette. 4. Put the cookie tray in the oven and broil for about 4 minutes. Check around the two minute mark to make sure the cheese isn’t burning. 5. Remove from oven and put on a serving platter. 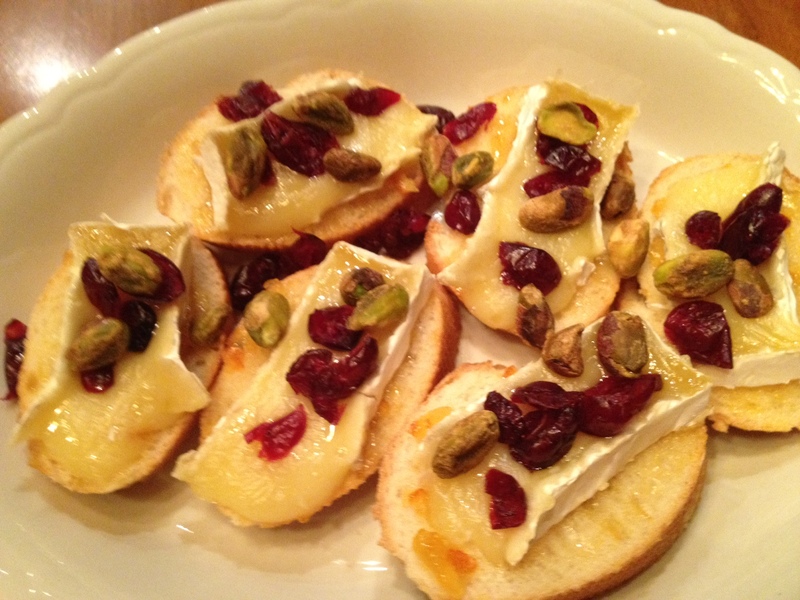 Add a few dried cranberries and pistachios on top of each crostini. Serve immediately. Simple and festive!